If you sail--even a little--you've probably thought about trying your hand at racing. Now you can stop thinking and do it. Getting Started in Sailboat Racing makes this endlessly fascinating lifetime sport accessible to anyone who wants to give it a try, whether you own a sailboat, are hoping to crew, or spectating from a nearby perch. This complete course in racing fundamentals breaks the racing experience down into bite-size pieces, making the process easier to understand and reflecting the leg-by-leg nature of a typical race. With scores of helpful illustrations, this user-friendly manual takes you around the buoys, explaining new rule changes and tactics that apply to each part of the race. There are few things in this world more satisfying than racing a sailboat. Get in on the action and find out what you've been missing. 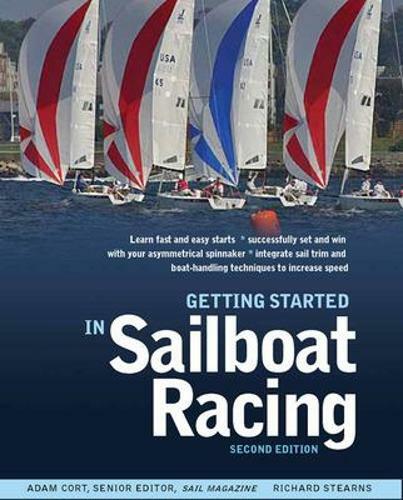 All you need is a competitive spirit and a little help from Getting Started in Sailboat Racing.